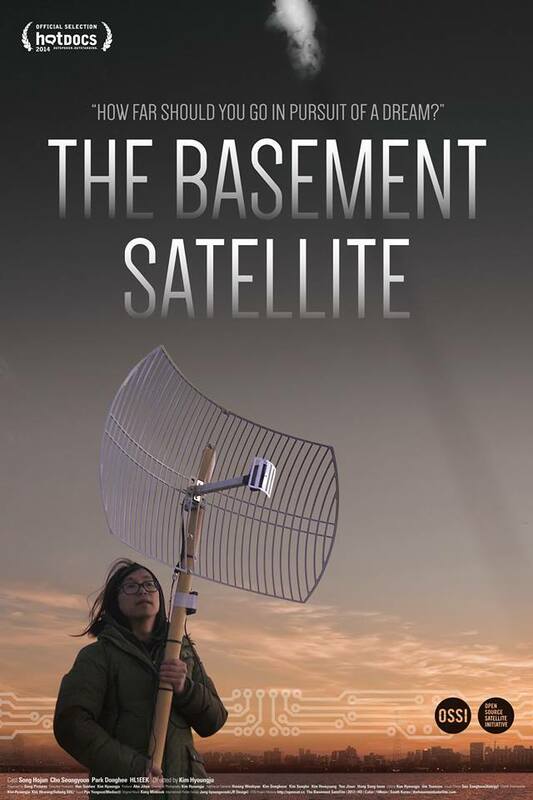 The first screening of the The Basement Satellite at the Canadian International Documentary Film Festival takes place on Friday, April 25. The film, directed by Hyoung-ju Kim, tells the struggle of Korean artist Hojun Song DS1SBO to develop a satellite, OSSI-1, in his basement studio and launch it into space. Synopsis from Indiewire.com – In his Mangwon-dong basement art studio, a media artist Hojun Song dreams of making a satellite and shooting it out to space. He wants to make his dream real through OSSI (Open Source Satellite Initiative) movement. He tries to build a DIY satellite, and to sell 10,000 T-shirts for the 100 million Won ($100,000) budget. His seemingly reckless and utterly ambitious project begins. Would his dream become real?